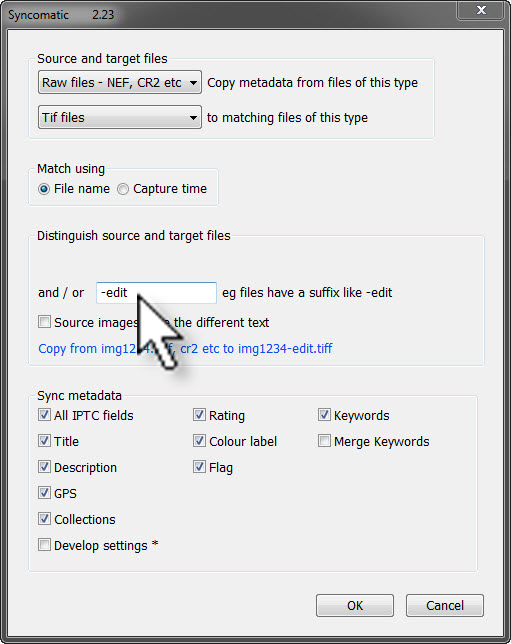 So how do you synchronise the metadata of the raw files with the corresponding Photoshop black and white version? Syncomatic just needs a logic to distinguish the versions of the same file are related, which is what happens in these examples where "-Edit" identifies the Photoshop versions and " BW" is used for the black and white JPEGs. For clarity, the "target files" are the photos whose metadata should be updated. 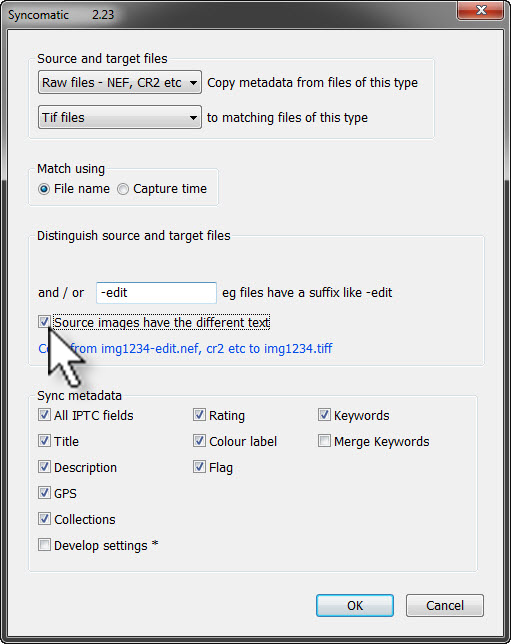 "Source files" are those with the correct metadata which you want to copy to the other files. Enter the suffix in the box - so here I've added " BW" which in this case includes a space before the "BW"
Enter the suffix in the box - again I've added " BW" which in this case includes a space before the "BW"